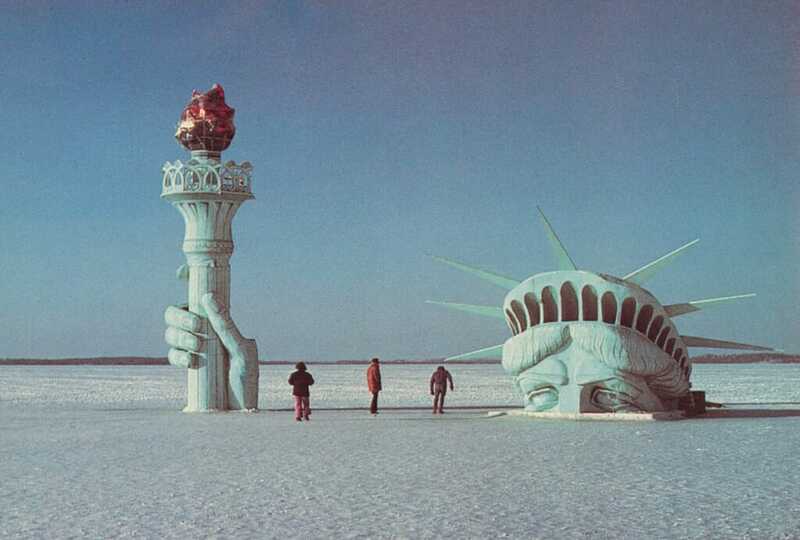 A fake Statue of Liberty was first built on Lake Mendota in February 1979 by the Pail and Shovel Party, which had gained control of the Wisconsin Student Association in the spring of 1978. The original statue was torched by an unknown arsonist ten days after it had been constructed. 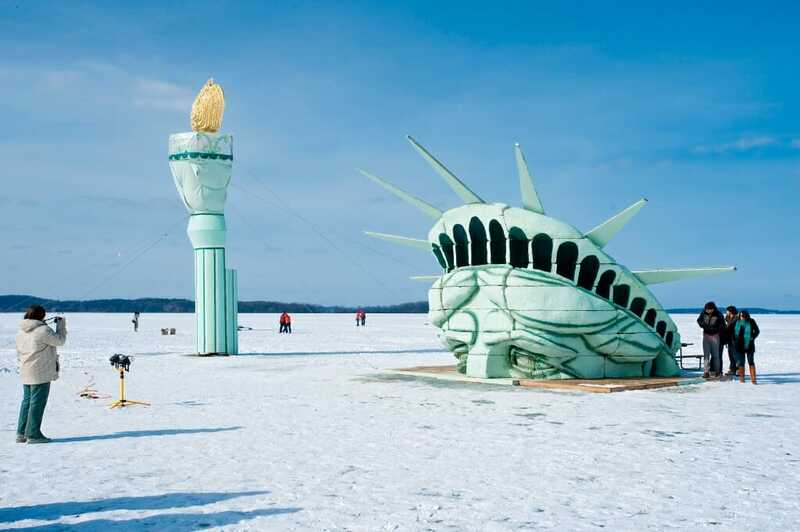 In a surprise addition to the annual Winter Carnival, the Wisconsin Union brought the Statue of Liberty tradition back to Lake Mendota Feb. 1 as a to-scale, inflatable replica of the Statue’s head, arm and torch. 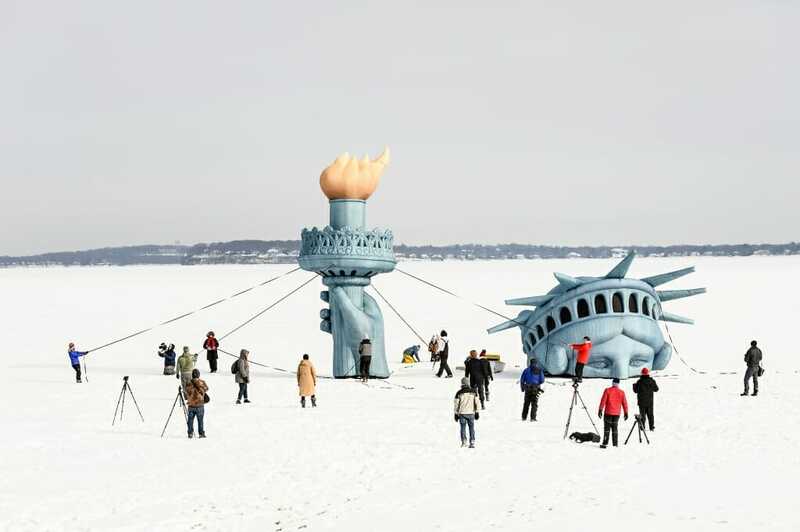 This marks the return of a decades-old tradition of placing Styrofoam portions of Lady Liberty on frozen Lake Mendota. Wisconsin Union President and University of Wisconsin-Madison senior Mills Botham led this year’s effort to create the inflatable version of the Statue of Liberty.